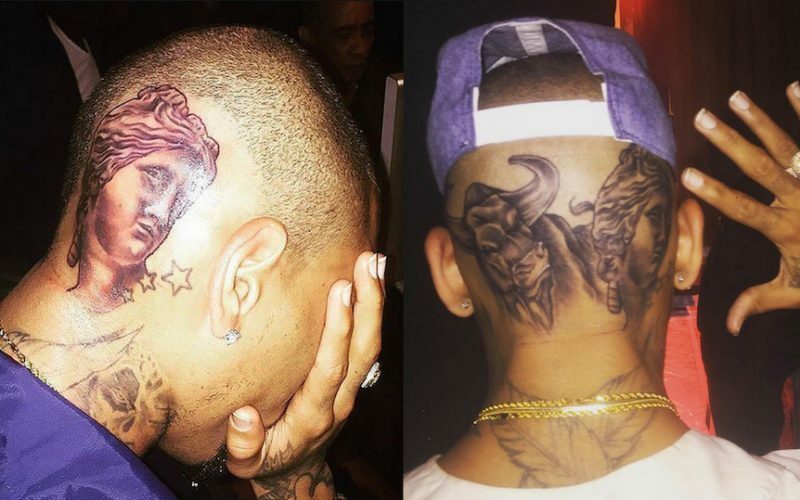 Chris Brown is out of his mind according to some of his fans because the singer just got a second head back tattoo done. As if the first one wasn’t ridiculous enough, the “Ayo” hitmaker have his tattoo artist put a Taurus bull right next to his ancient Greek goddess Venus de Milo tat. “I do what the f*** I want!” Breezy wrote in the caption. Chris Brown has been getting heavy criticism since unveiling the first tattoo at the back of his freshly shaved head. But seems he could care less because the next day he added a second body art. However, unlike the first photo he posted, Brown didn’t remove this second pic, so here is it for everyone to see. Chris Brown also made headlines earlier this week when he ripped his skinny jeans right down the crotch. 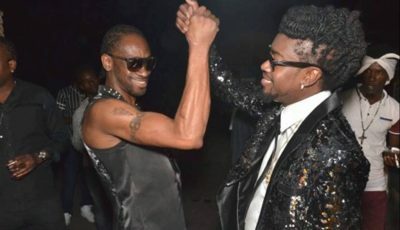 The “Private Show” singer was performing in Bridgeport, Connecticut on Sunday when he was doing the Hit The Quan on stage. But seems his denim couldn’t hold up under all that pressure from his fancy footwork. He shud look at some recent Dennis rodman pictures. The ending won’t be pretty.